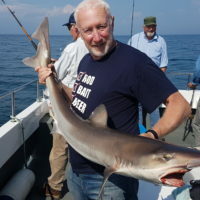 Cardigan Bay has some of the best specialist sea angling that the UK has to offer. 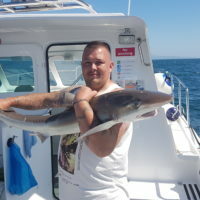 From shark to bass, wreck to reef - we can provide some serious fishing. In high summer the tope run big and fight hard with 50lb fish common. 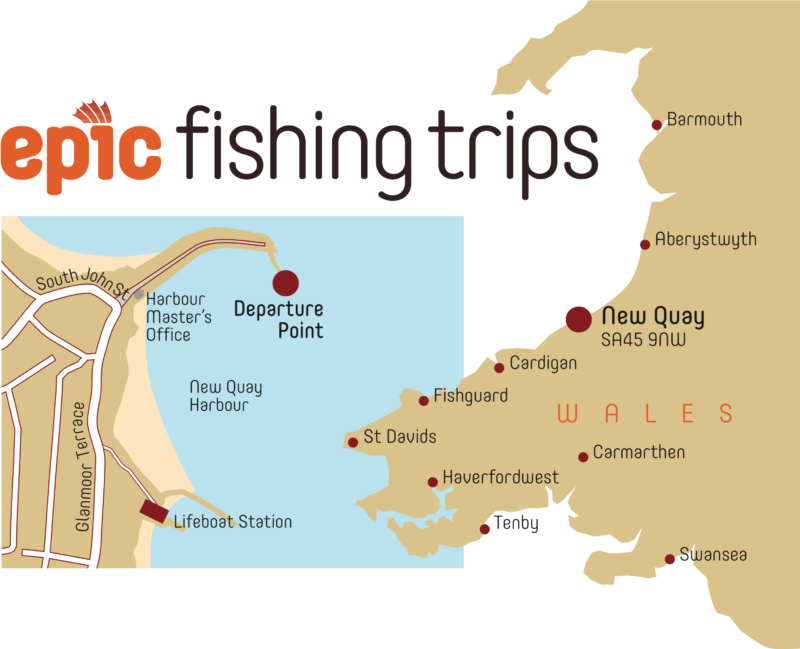 Some of the most famous bream grounds of Wales are within easy reach. As the waters warm so the bass arrive and there will be ample opportunity to live bait for the big ones. Every year we land near record sized bull huss and rays. 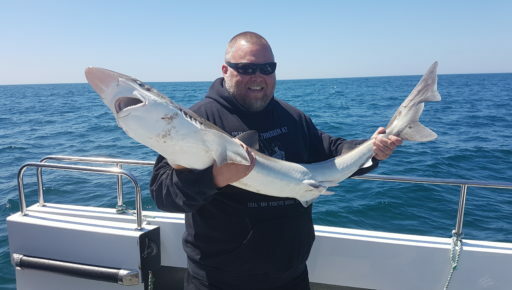 The rough ground fishing can be unbeatable with take home whiting, monster huss and dogs showing consistently all season. We commonly run species hunts with a wide variety of unusual fish caught including dragonettes, red mullet and gars. 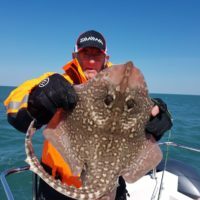 An Epic sea fishing full day charter is £600 (for 8 hours) with a maximum of 12 people on the boat.